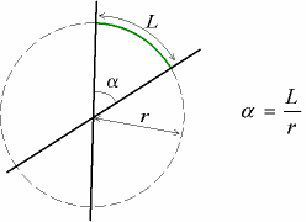 The radian is a unit (symbol rad) for measuring plane angles, i.e. ordinary two- dimensional angles (often by opposition to solid angles). To obtain the equivalent in radians of degrees or grades, we use fractions with Pi.